Vespasian's Camp is an Iron Age Hillfort close to the town of Amesbury, Wiltshire, England. The camp is less than 3 kilometres (2 mi) from the Neolithic and Bronze Age site of Stonehenge and was built on a hill next to the Stonehenge Avenue. Stonehenge, Avebury and Associated Sites is a UNESCO World Heritage Site (WHS) located in Wiltshire, England. The WHS covers two large areas of land separated by nearly 30 miles (48 km), rather than a specific monument or building. The sites were inscribed as co-listings in 1986. A number of large and well known monuments lie within the WHS, but the area also has an exceptionally high density of small-scale archaeological sites, particularly from the prehistoric period. More than 700 individual archaeological features have been identified. There are 160 separate Scheduled Monuments, covering 415 items or features. Vespasian's Camp lies near the eastern boundary of the southern section of the site. Although the Roman general Vespasian campaigned through Wessex after the Roman invasion of Britain in 43, there is no evidence to suggest he came to this hill fort or had any military base here. The name was given to the site by William Camden, who during the Elizabethan era toured the area and gave the hill its romanticised name. 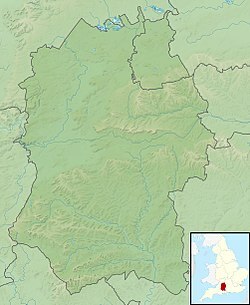 The hill fort stands on the western fringe of Amesbury and borders the River Avon on its southern side and the A303 on its northern edge. It is inside the boundaries of the Stonehenge World Heritage Site inscribed in 1986. Several hill forts are nearby, including Danebury to the east, Sidbury Hill and Casterley Camp to the north, Yarnbury Castle to the west and Figsbury Ring and Old Sarum to the south. Ogbury Camp, 3 miles (5 km), south may have been a satellite enclosure of Vespasian's Camp. From north to south the hill-fort is 730 m (800 yd) long and 374 m (409 yd) wide at the southern end, narrowing to 100 m (110 yd) wide at the northern end. It encloses an area of some 15 ha (37 acres). The bank is up to 40 m (44 yd) wide and up to 6 m (6.6 yd) high above the ditch bottom. The ditch is up to 10 m (11 yd) wide with a low counterscarp bank up to 18 m (20 yd) wide on the outside of the ditch, creating a maximum width of the hill fort's defences of 68 m (74 yd). It occupies a strong defensive position. There are two original entrances, one on the north and the other probably to the south east, just north of the point where Stonehenge Road cuts through the camp. Unlike most regular hill forts of the time, Vespasian's Camp has a somewhat unusual shape, appearing from above as an arrowhead. The southern banks are constructed with angled corners, possibly to take the shape of the hill alongside the Avon into account; this is not a common feature in hill forts in the south. Section of the six inches to the mile OS map of Wiltshire, England published in 1901. It shows the location of Vespasian's Camp Iron Age hill fort in relation to West Amesbury, Amesbury Abbey and the modern town of Amesbury. During road-widening in 1964, the main western rampart was partly uncovered. It had been assumed that most of the archaeology had been lost during the 18th century landscaping for the Marquess of Queensberry by Charles Bridgeman. Documentary research showed that the hill fort had escaped most of the landscaping and excavations were begun in 2005. Excavations were focused on an area near Vespasian's Camp known as Blick Mead. The first finds discovered tools ranging as far back as the mesolithic. It also revealed that what had been thought to be a water feature was an ancient spring which might have been part of a seasonal lake. Excavations have revealed a metre thick layer of domestic waste that suggests the hill had a considerable population after the banks were constructed. 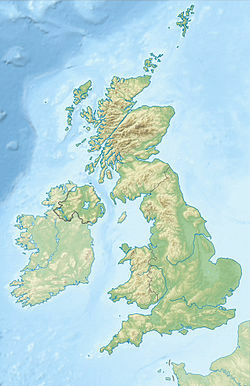 Occupation of the site spanned the period from 6250 to 4700 BC, as indicated by the Neolithic pits found near the centre. Excavations suggest that the hill may have been part of the Stonehenge ritual landscape during the later part of this period. Further work in 2010 uncovered a 12 cm (4.7 in) layer of mesolithic material including 10,000 pieces of struck flint and over 300 pieces of animal bone, a find described by Professor Tim Darvill as "the most important discovery at Stonehenge in many years". The struck flint tools were discovered in pristine condition, sharp enough to cut the fingers of some of the excavators and it is believed that the layer may extend several hundred metres more. These thousands of tools include an impressive range of implements, from microliths, backed blades (used for making knives, arrows and other composite tools), and burins for working bone and antler, to notched tools (perhaps for cutting sinews or stripping bark to make baskets) and scrapers, as well as cores and knapping debitage representing all stages of the production process. We have also recovered three tranchet axes, a significant haul given that only 5 have ever been found in the whole Salisbury Plain landscape before. Virtually all of these tools are in pristine condition. One tool was made out of worked slate, a material not found in the area. A possible source could be a slate glacial erratic, though there are none known to exist in the vicinity or the slate could have been carried from the nearest source in North Wales. If this is the source it shows that hundreds of years before Stonehenge, this may have been a "special place to gather". Evidence suggests that the spring area was used for huge feasts including the consumption of aurochs and as a centre for tool making. An unusual form of Mesolithic domestic site was found, a semi-permanent site for families called a homebase. A road was constructed over the hilltop in the middle ages and separates the southern corner from the rest of the fort. During the 18th Century, the hill fort was landscaped as part of the Marquis of Queensbury's grounds around Amesbury Abbey. A grotto, vista and paths were constructed and substantial tree planting was carried out. The A303 road was cut through the northern section of the hill in the 1970s, just below the northernmost bank. ^ a b c "Vespasian's Camp, Amesbury – 1012126| Historic England". www historicengland org uk. Archived from the original on 20 April 2018. Retrieved 19 April 2018. ^ a b c "The Megalithic Portal". Archived from the original on 10 June 2011. Retrieved 5 April 2008. ^ "Vespasian's Camp: The Megalithic Portal and Megalith (Map)". The Megalithic Portal. Archived from the original on 10 June 2011. Retrieved 19 April 2018. ^ a b c "Vespasian's Camp: Cradle of Stonehenge – Current Archaeology". Current Archaeology. 19 April 2013. Archived from the original on 6 August 2018. Retrieved 19 April 2018. ^ a b c Hilts, Carly (19 April 2013). "Vespasian's Camp: Cradle of Stonehenge". Current Archaeology. Archived from the original on 23 April 2013. Retrieved 23 April 2013. ^ "Field work at Vespasian’s Camp"
^ Cooper-White, Macrina (19 December 2014). "New Stonehenge Discovery Hailed As 'Most Important In 60 Years'". HuffPost. Archived from the original on 2 October 2017. Retrieved 4 July 2017. Current Archaeology "Vespasian’s Camp: Cradle of Stonehenge"
This page was last edited on 31 October 2018, at 14:35 (UTC).